Get together with a group of friends with young children and buy your own jumping castle then for every birthday, braai or social occasion you will have the perfect play item to keep the children occupied. It can get expensive to hire a jumping castle for every birthday especially if there is more than one child in the family. If you own your own jumping castle you can use it for each and every occasion not just birthdays. You can also think about hiring your jumping castle out to other friends and therefore recouping the cost of your purchase. Just make sure your other friends have a safety list of do's and don'ts and sign an indemnity form. 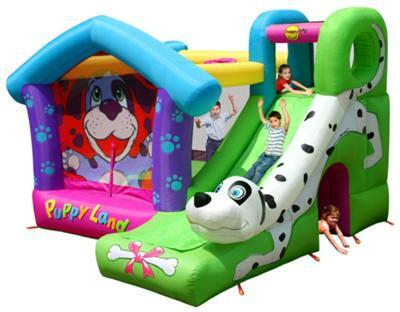 Most new bouncing castles come with a 1 year guarantee. Make sure a repair kit is included in the price of your bouncer. It is not recommended that you purchase a 2nd hand inflatable as the stitching on the bed and particularly where the pillars and side walls meet the bed. Unfortunately bouncers do not last forever and ones in poor condition often land up on the second hand market.